In July 2019, Indiana University will welcome its newest Board of Directors of the Asian Alumni Association, the university’s foremost group for Asian American and Pacific Islander (AAPI) alumni to deepen their connections with their alma mater. A group of over 700 alumni, the Asian Alumni Association leverages its partnerships across the university to implement programming and increase scholarships that support the AAPI community at Indiana University. In doing so, the Asian Alumni Association also provides professional networking opportunities for its members and gives alumni a chance to maintain their relationship with the university long after graduation. In order to pursue its mission, the Asian Alumni Association works with a number of student, faculty, and staff organizations at Indiana University. One such organization is the Asian Culture Center, a cultural center supported by the Office of the Vice President for Diversity, Equity, and Multicultural Affairs. Through its partnership with the Asian Culture Center, the Asian Alumni Association works to maximize its connections with students, advocate for the AAPI community and provide the students that the Asian Culture Center serves a way to stay involved with IU after graduation. 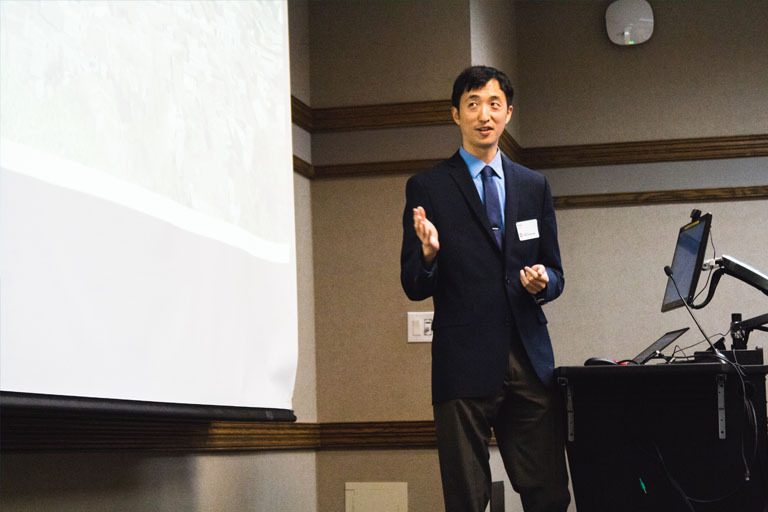 Paul Park, the incoming president of the Board of Directors and a 2004 graduate of Indiana University, noted the critical role that alumni groups like the Asian Alumni Association play in fostering a culture of diversity and inclusion at IU. “It continues to be critical to contribute diverse voices and viewpoints at IU. Students, faculty, and staff of all backgrounds should especially feel supported by alumni to be able to contribute openly to IU,” Park said. Though the association’s new board members joined for a variety of reasons, held in common was a determination to address inequities that the AAPI community faces and to pave the way for AAPI students, faculty, and staff to find success at IU. For more information about the Asian Alumni Association, visit the association’s website.